I love these generous goopy, jiggly, sweet, chocolately packages of goodness. 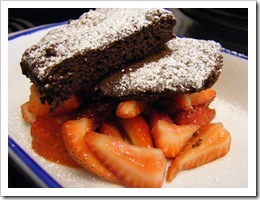 I found the recipe a couple of years ago out of one of my favorite cookbooks. 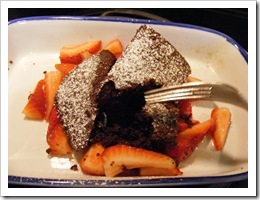 Nigella Lawson, you are a genius in the kitchen and your pretty cute to boot! You make such beautiful and yummy looking dishes. Every time I look through one of the four cookbooks of yours I own I always find something new I want to make. This however, is the recipe I always come back to. It works every time. 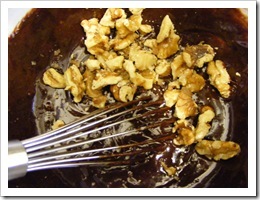 Even when I reduce it from it's normal amount for 48 brownies to 6. I've also added walnuts, dried cranberries and white chocolate chips to it and it still works. Although, I have never tried all three at once! 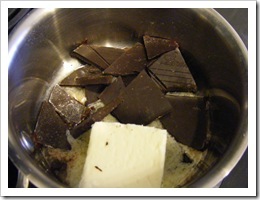 Step 1(Top left picture): Melt together unsalted butter and good quality chocolate (I always use 70% Lindt Chocolate). 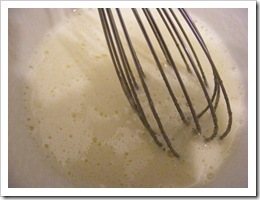 Step 2(Top right picture): Mix together sugar, vanilla, and egg. Step 3 (Bottom left): Mix together flour and salt. 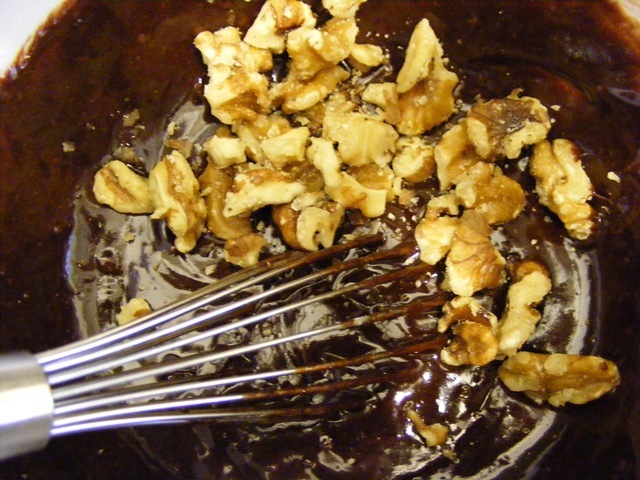 Then add chocolate mixture, egg mixture to the flour and salt. I also added in some walnut pieces. Yummy. Thankfully they turned out pretty good. I managed to overcook them just a little bit. Which sucked but after the beginning I had when I started making them (measured the wrong amount of flour, melted part of the camera strap, sorry Tim! We'll go get the tripod!) I was happy they weren't like pucks! Just what I needed to perk up my blah day. It's raining today... and I love the rain. I just wasn't feeling the whole work thing today. At least I got to bake! That always makes me feel better, even when I don't eat it. Anybody else like that? I heat my oven to 355 degrees Fahrenheit, Nigella says 180 degrees Celsius. 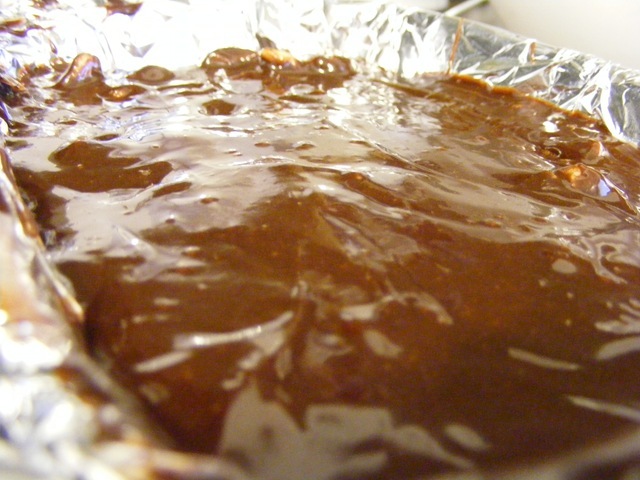 Line the pan with aluminum foil (I use a 9 x 13 cake pan). 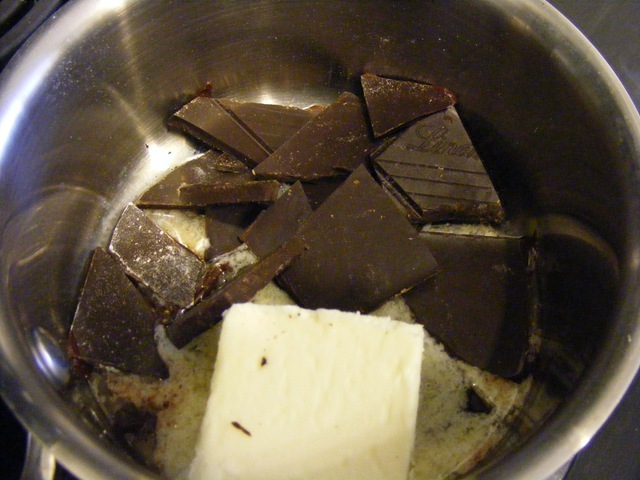 Melt the butter and chocolate together. 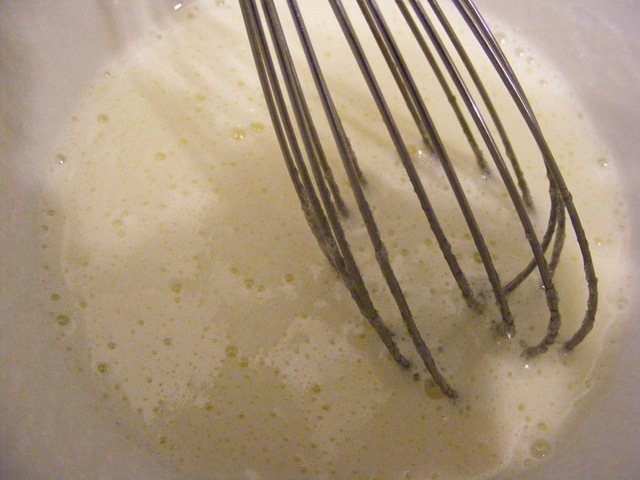 In a bowl mix together the eggs, sugar and vanilla. Measure the flour into another bowl and add the salt. To be honest, I just measure it into my scale little cup and then put the salt in, one less dish! Mix all the ingredients together. 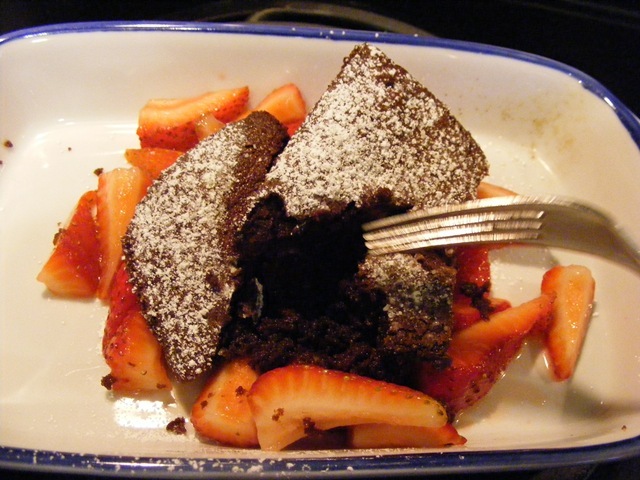 I put the chocolate mix into the egg mix and then add the flour; you can do it how you want. Never had problems with the chocolate cooking the eggs. This is where is can get a little tricky. Every oven is different. Nigella's must be super powered because my oven takes almost twice as long to cook the brownies to a point where there not batter anymore (my oven is only 3 years old, but who knows). Bake for about 25 minutes (or if your me about 47 minutes! :)). 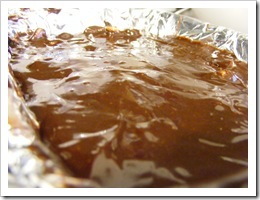 You can let the brownies cool, but if your like me this is where the foil comes in handy. 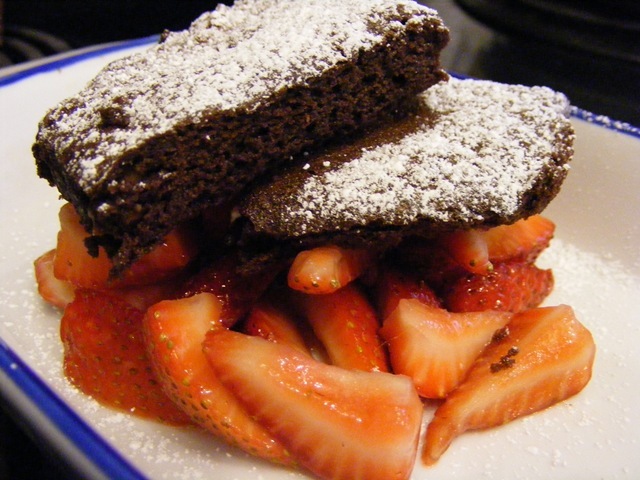 You can just pull them out of the pan, carefully and slice away!